CHICAGO, ILLINOIS. 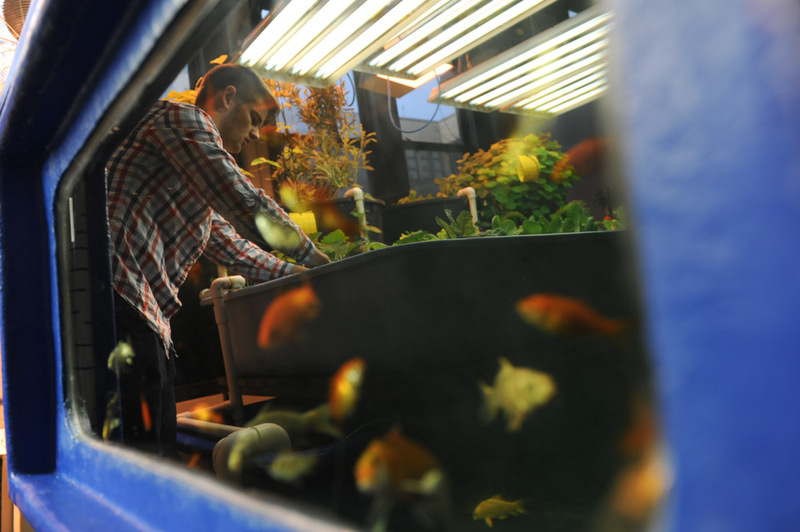 Matthew Peters, 17, reflected in a goldfish basin while examining a a plant he grew in the aguaponics lab at Lane Tech High School on March 19, 2015. Lane Tech, a Chicago Public High School, has cultivated the program with support from the Century Foundation and the school's alumni association as well as donations from Brew and Grow and Home Depot.